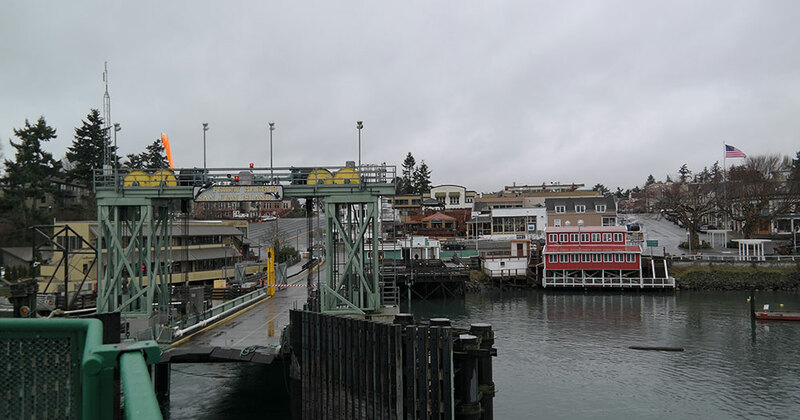 Jim and I just returned from a wonderful 3 day vacation in Friday Harbor, a touristy town of about 2,000 on San Juan Island, Washington. This was our first trip with Gadget and an unusual trip for us in that we spent almost half of every day inside our 500 sq ft hotel room! When we travel we usually try to maximize the time we spend at whatever the nearby point of interest is. Disney parks have us up by 7 and in line for whichever park opens earliest by 8 or 9. Ditto and likewise for road trips and skiing vacations. 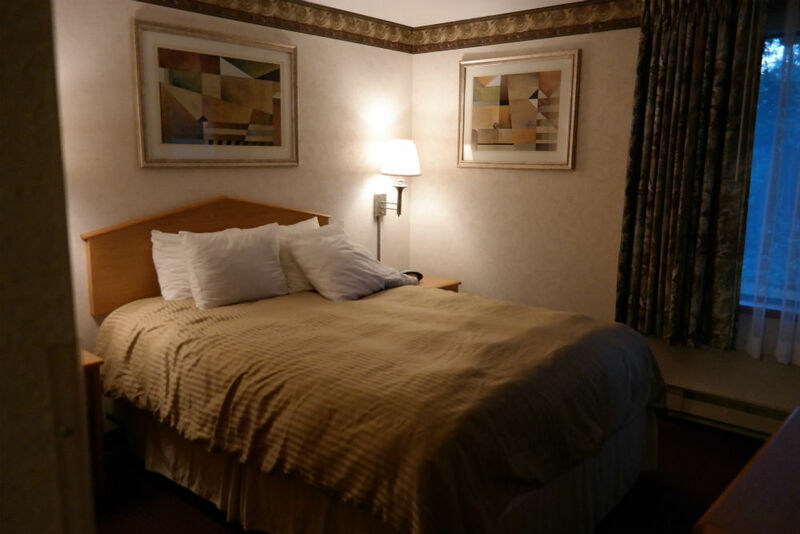 On those kinds of trips, we return to the room and collapse into bed somewhere around 9 or 10. There’s never much time to enjoy the room, nor is there any point – the rooms we rent tend to be little more than a bed in a box. But this room was different! 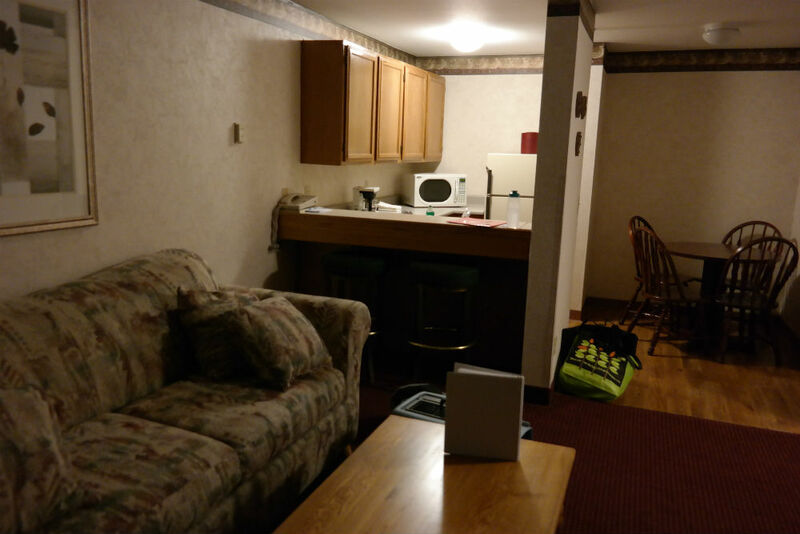 This room (at the Friday Harbor Suites) had an almost-kitchen including flatware, bowls and plates, a sink with Palmolive and a new sponge, microwave, medium sized fridge. It also had a dining table, a separate bedroom, a bathroom larger than any I have in my single family home, a living room complete with sofa and oversized coffee table, and a little sliding door that opened to a ground-level deck. If the room just had a range to cook on, I think I could have moved in. Everything had a purpose, and almost nothing duplicated the purpose of anything else (well, except for the two flat screen televisions and the bar chairs at the kitchen ledge). Living in this tiny space was refreshing! As a recovering stuff addict, I love an opportunity to see just how much stuff I don’t actually need. Three days in the “mini house” also made it obvious how much of my home is just duplication. I can also sew at two different machines, shower in two different showers, sit on four different toilets, wash my hands in any of 5 different sinks, and lounge on two different sofas. If I wanted to sit somewhere, I count at least 11 different places I could have a nice sit. I have two televisions (and three laptops, plus an iPad) for watching things on, and I even have two separate beds I could sleep in. That’s a lot of duplication. If I removed all the duplication from my home (three of the four bathrooms, all but one of the bedrooms, one of the living rooms, etc), I’d probably have a 700 sq ft home instead of a 2200 sq ft home! A lot of it happened accidentally – upgrading to a new version of something and retaining the old one is the most common cause of duplication. But it’s a lot of upkeep and management, time I’d rather spend making art or writing or walking outdoors with my family. In a way, my home encouraged it. When there’s room for stuff, it’s easy to keep it around! When we replaced our 7 year old sofa with one large enough to hold us both, the old sofa just moved to another room (at the cost of $125 for movers, since we couldn’t move it ourselves). The room that received it was otherwise empty – because for whatever reason, my 1977 single family home has both a family room and a living room to fill up. Sure, we’d left that living room empty for a good three years, but the looks we got from visitors made it clear that the social expectation was that living rooms should have at least a little furniture in them. The three days I spent in this little room were inspiring. I took three car-loads of unused stuff to the local charity dropoff the day after we got back. Feels good, man.